Expanding Jim’s half sleeve to a full sleeve! 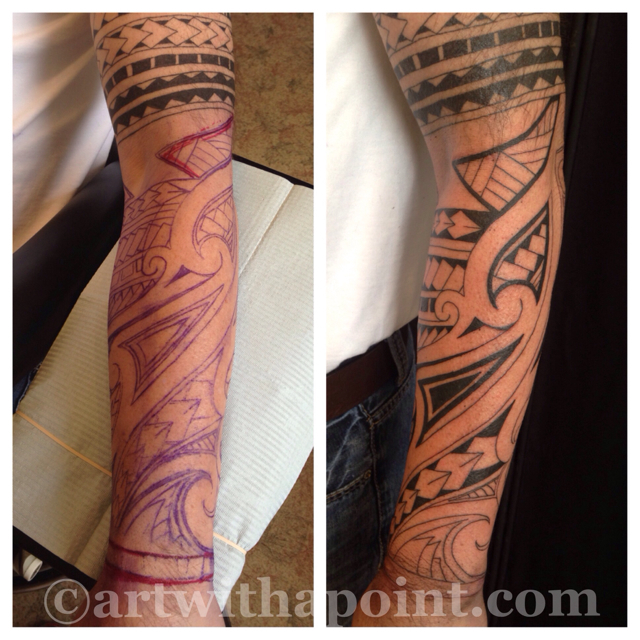 Here we started with a basic stencil and some freehand drawing on the skin and we’ll wrap with the solid black fill. More photos to come after the next appointment. Portraiture Facebook – Check it out!